Keep up with the growing demand for specialty colors with our new PANTONE PLUS SERIES PASTELS & NEONS. Select from 154 soothing pastels whenever softness or subtlety is called for, or specify from a newly expanded range of 56 hot neon's to add pop and vibrancy to your designs. Colors are arranged chromatically. Ink mixing formulas are provided. Compatible with today's digital workflows. Text weight paper is used, to match popular print specifications. Coated and uncoated stocks together in one convenient guide. Provides a printing standard with colors that bleed for ease and accuracy in checking "on press". One book allows you to select a color and specify for accurate communication. PANTONE PLUS SERIES PASTELS & NEONS comes in a limited-edition gift box. Included lighting indicator tool determines if lighting conditions are suitable for accurate color selection and matching. This product includes a free download of PANTONE COLOR MANAGER Software for updating PANTONE Colors in popular design applications. PANTONE Colors are internationally recognized for color communication and are globally available. You can specify PANTONE Colors with confidence even if your manufacturing is half a world away. The Pantone formula guide and chips contains 126 PANTONE pastel color on both coated and uncoated stock. Each of the chromatically-arranged colors is displayed along with the unique PANTONE number and ink formulation. The fan deck contains 2 tear-out chips of each PANTONE pastel color on both coated and uncoated stock. Pantone developed a special base palette for these colors so they can be mixed and reproduced accurately and economically with a minimum of waste. Eliminated the guesswork in color selection and verification. Chromatic layout makes it easy to locate the desired color. Eliminated errors in ink mixing by providing formulas. 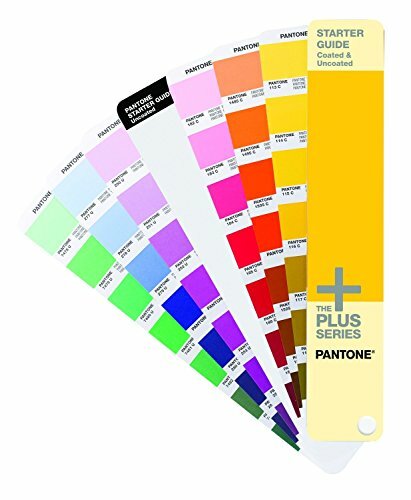 The PANTONE PLUS SERIES STARTER GUIDE is a great way to begin using PANTONE Colors in your design work. It's perfect for students or anyone starting out in design. The STARTER GUIDE contains selections from all PANTONE PLUS SERIES Color libraries: PASTELS on Coated & Uncoated stock, NEONS Coated & Uncoated, PREMIUM METALLICS Coated; CLASSIC METALLICS Coated; and SOLID Colors Coated & Uncoated. In total the guide contains 543 PANTONE Colors. Pages are arranged chromatically, in color families, to enhance inspiration and creativity. An index is located at the back, to assist in locating specific colors. Comes in a limited edition gift box. This is for 1 pcs. 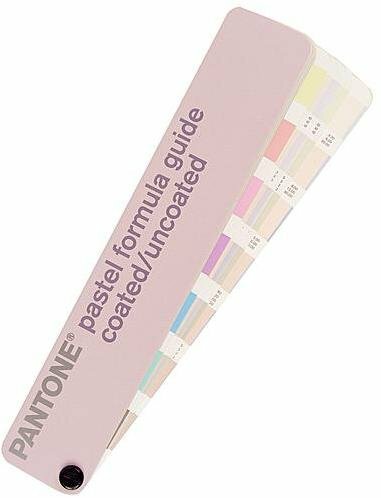 Pantone Pastel Formula Guide: Coated/Uncoated- Description: pastel formula guideSpecify soft, subtle effects with PANTONE(R) Pastels. This guide contains 126 colors arranged chromatically on coated and uncoated paper. The guide measures 8 1/8 in. x 2 11/16 in. x 1/2 in. 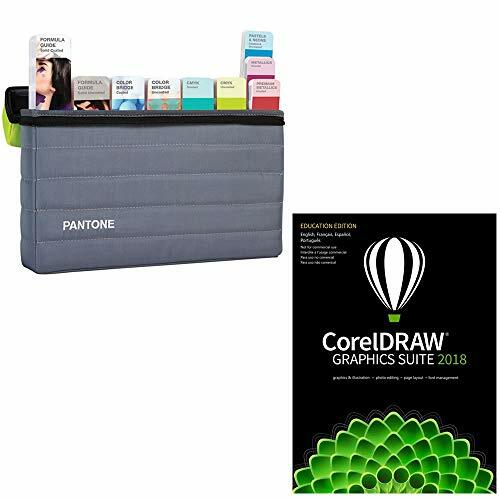 Great bundle that includes the Pantone Portable Guide Studio Complete GPG304N Color Guide Set and CorelDraw Graphics Suite 2018 Academic. 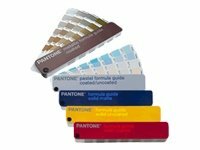 The Pantone Portable Guide Studio Complete GPG304N color guide set contains a thorough collection of solid, solid-to-process, process-only and special effects colors. The Pantone Portable Guide Studio Complete GPG304N Color Guide Set includes: Pantone Formula Guide Solid Coated, Pantone Formula Guide Solid Uncoated, Pantone Color Bridge Coated, Pantone Color Bridge Uncoated, Pantone CMYK Coated, Pantone CMYK Uncoated, Pantone Metallics Coated, Pantone Premium Metallics Coated, Pantone Pastels & Neons Coated & Uncoated. 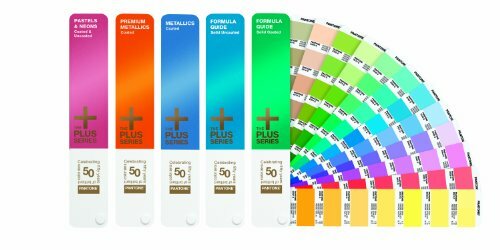 It is an ideal and comprehensive set for designers, pre-press professionals and printers interested in creating with, specifying, matching and approving the most diverse and market-relevant set of standardized colors available. 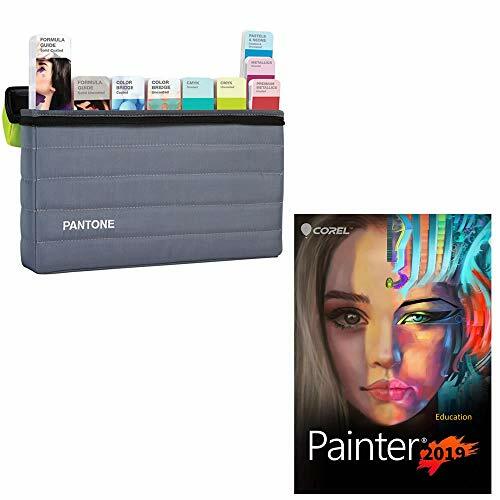 Great bundle that includes the Pantone Portable Guide Studio Complete GPG304N color guide set and Corel Painter 2019 Academic. The Pantone Portable Guide Studio Complete GPG304N color guide set contains a thorough collection of solid, solid-to-process, process-only and special effects colors. The Pantone Portable Guide Studio Complete GPG304N color guide set includes: Pantone Formula Guide Solid Coated, Pantone Formula Guide Solid Uncoated, Pantone Color Bridge Coated, Pantone Color Bridge Uncoated, Pantone CMYK Coated, Pantone CMYK Uncoated, Pantone Metallics Coated, Pantone Premium Metallic Coated and Pantone Pastels & Neons Coated & Uncoated. It is an ideal and comprehensive set for designers, pre-press professionals and printers interested in creating with, specifying, matching and approving the most diverse and market-relevant set of standardized colors available. 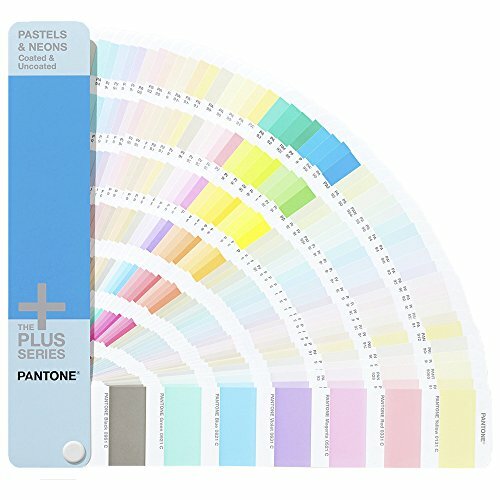 Looking for more Pantone Pastel Formula Guide similar ideas? Try to explore these searches: Round Cabochon Cream, Atmosphere Collection, and Ladies Skinny Fit T-Shirt. Look at latest related video about Pantone Pastel Formula Guide. Shopwizion.com is the smartest way for online shopping: compare prices of leading online shops for best deals around the web. 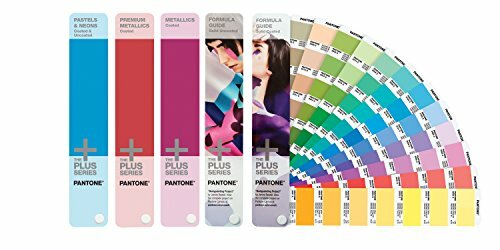 Don't miss TOP Pantone Pastel Formula Guide deals, updated daily.